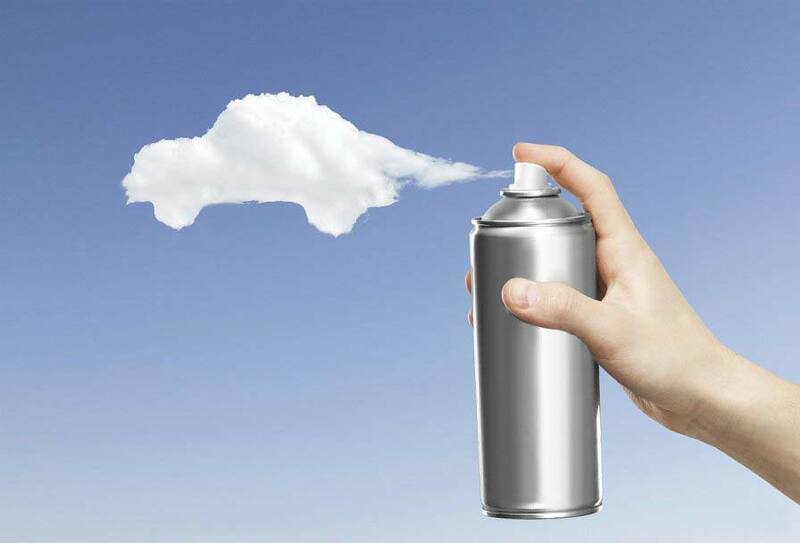 Cylinders from under the aerosol can be used repeatedly, if you apply a small improvement. This requires only valve from the tire of a racing bike… and a little ingenuity. 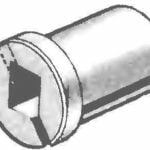 In the bottom of the cylinder is drilled a hole with a diameter corresponding to the diameter of the valve body. Next are bore under the diameter of the flange of the valve (shape of the bore shown in the figure). The valve is inserted into the hole flange inward. The edges of the bore podgibayutsya They have subsequently rectified to provide the desired sealing of the cylinder. 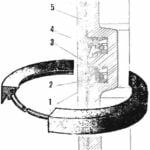 Further inserted into the sealing strip of rubber n steel washer, are clamped with the nut. The container is ready to use. 1 — cylinder, 2 — nut, 3 — valve, 4 — valve, 5 — spacer, 6, 7 — gasket, 8 — flange, 9 — spray head. The REFILL bottle essential fluid is a rubber bulb, in small portions, followed by bleeding air through the valve. Air is inflated through the same valve with a Bicycle pump. For the test, the cylinder is refilled with fluid for 4/5 of the volume (approximately 100 g). Unlike conventional aerosol packages from this modernized tank liquid can be sprayed through the valve or through the head of the spray gun. Modelers can use this device for supplying fuel under pressure to the cord and expense of building a traditional models, such as a spray gun for painting models and in other cases where the required capacity of compressed air.